A new video has emerged showing about half of the girls abducted from a school in Nigeria three weeks ago. The girls appear to be reciting the Quran in the video. 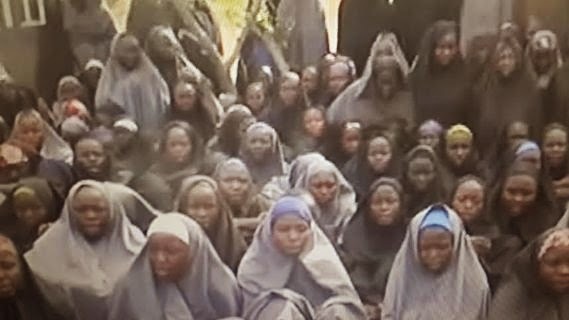 It appears to show around 100 girls kidnapped. The group’s leader, Abubakar Shekau, said they would be held until all imprisoned militants had been freed. Click here to view video…..
Next Post THE SCALE IS NOT YOUR FRIEND!